Ditto from Raj's comment really. Came here as I know they have a good well kept beer selection, without too many of the golden beers that I struggle with. Saw the beer pump badges and I was not disappointed. However, the indifference eminating from behind the bar was such that you could almost chew it. Will down my (excellent) pint of bass, and find a more friendly pub with (probably) inferior ale. 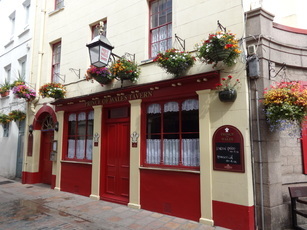 This pub does't look much from the outside but inside it is much more appealing, good selection of very well kept real ale and a large drinking area with plenty of memorabilia from the area, has a nice outside drinking area which is very pleasant too. We visited it a few times when the "island games" were on and found the barstaff to be friendly and charming and more than happy to top up a pint when needed, without being asked as well. 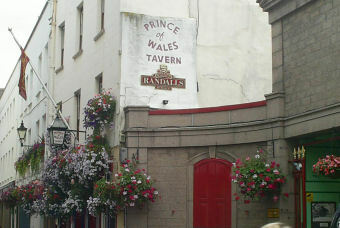 One of the best pubs in St Helier we thought. Looks like its had a refurbsihment. Very pleasant and comfortable inside with a couple of seating areas and a "hidden" patio garden at the rear (no kids). The old porcelain handpumps have gone and have been raplaced by new (but more - 8) beer engines. Good range of fairly standard brews (Courage/Bankss Mild/Ringwood/Spitfire/Doom Bar etc) but nice to see an increase in the beer numbers (they advertise their cask ales on large blackboards). Goodly range of whiskies. Nice little retreat from the bustling market next door. An attractive little pub down a cobbled street in the heart of St Helier, a good range of ales I tried London Pride a little bit hazy but fine and Sharps Doombar but had to return this as it was clearly end of barrel and got a grimace and a grunt from the barmaid. Exchanged for Bishops Finger but did not enjoy as was getting constant glares from the barmaid. Could be a lovely pub with some staff training.